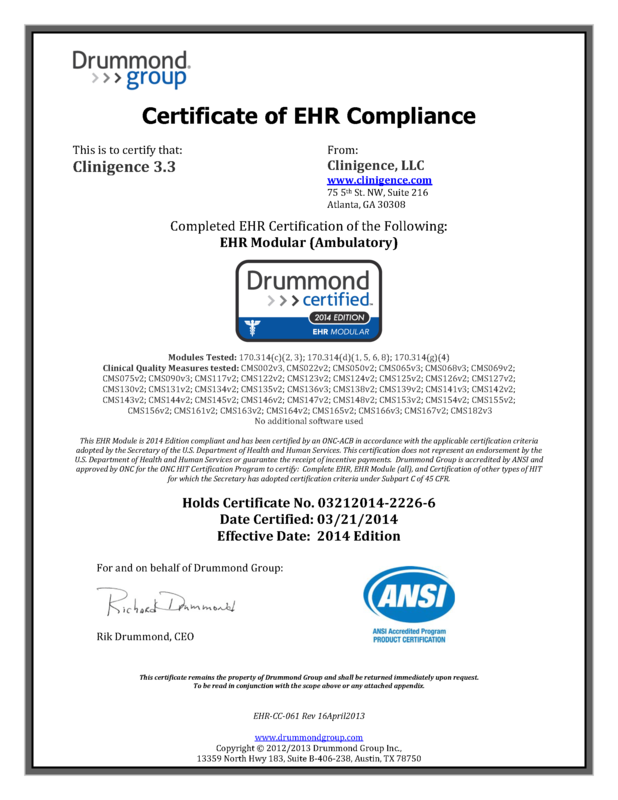 The Clinigence Value Improvement Platform® (VIP) is certified under the Office of National Coordinator for Health IT (ONC) certified electronic health record technology (CEHRT) program as further detailed below. 170.314(d)(1-3,5): user authentication, access control, and audit trail. 170.314(g)(4-5): quality management system and accessibility-centered design. 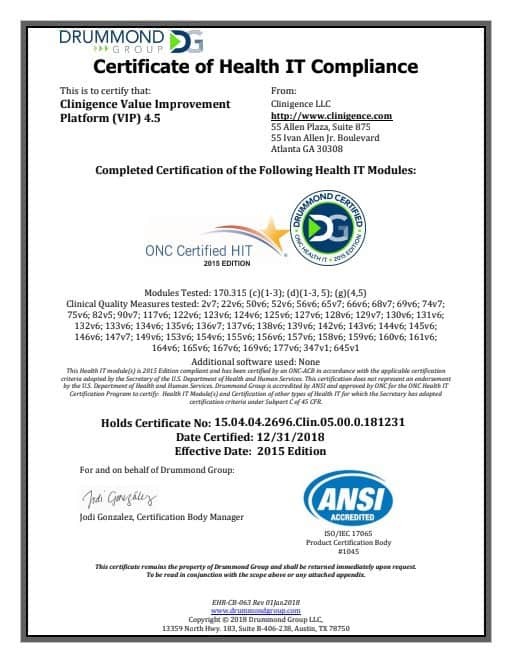 ONC Disclaimer This Health IT Module is 2015 Edition compliant and has been certified by an ONC-ACB in accordance with the applicable certification criteria adopted by the Secretary of Health and Human Services. This certification does not represent an endorsement by the U.S. Department of Health and Human Services. Costs & Limitations Clinigence offers clinical quality measure (CQM) analytics, including recording, calculating, and reporting (170.314(c)(1-3)) on an annual software-as-a-service (SaaS) contract. The service allows healthcare providers to aggregate patient data from various sources, including electronic health record (EHR) systems, track performance at the organization, practice and individual provider level in near real-time, and report to different outside agencies. Service costs are based on organization size (e.g. number of providers, patients, etc.) and the number of CQMs and are charged on a periodical basis (annual, monthly, etc.) 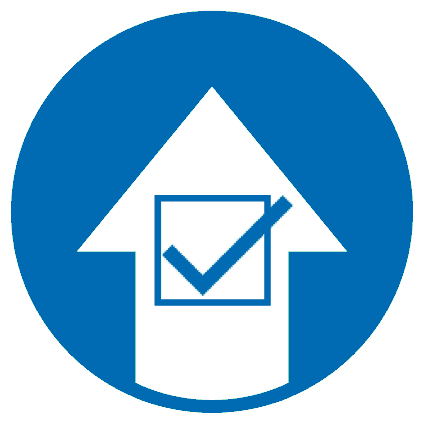 One-time setup fees may be charged based on the number and type of data sources. There are no technical or practical limitations associated with this service. 170.314(d)(1,5,6,8): user authentication, access control, auto log-off, emergency access, and data integrity. 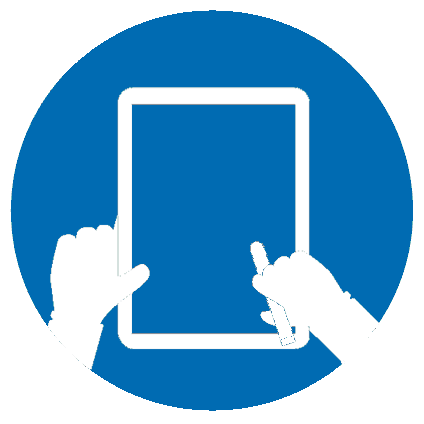 ONC Disclaimer This Health IT Module is 2014 Edition compliant and has been certified by an ONC-ACB in accordance with the applicable certification criteria adopted by the Secretary of Health and Human Services. This certification does not represent an endorsement by the U.S. Department of Health and Human Services. Costs & Limitations Clinigence offers clinical quality measure (CQM) analytics, including importing, calculating, and reporting (170.314(c)(2-3)) on an annual software-as-a-service (SaaS) contract. The service allows healthcare providers to aggregate patient data from various sources, including electronic health record (EHR) systems, track performance at the organization, practice and individual provider level in near real-time, and report to different outside agencies. Service costs are based on organization size (e.g. number of providers, patients, etc.) and the number of CQMs and are charged on a periodical basis (annual, monthly, etc.) 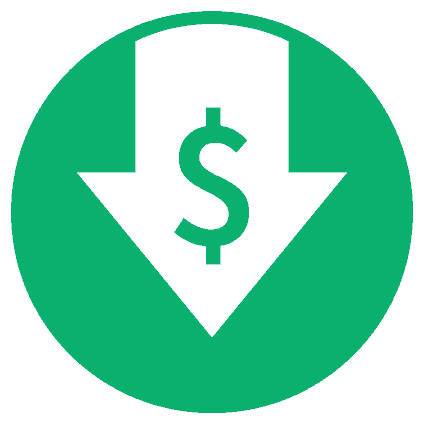 One-time setup fees may be charged based on the number and type of data sources.